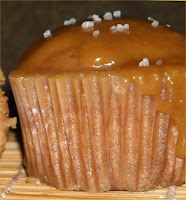 Symphonious Sweets: Apple Dapple cuppycakes with salted caramel icing. Apple Dapple cuppycakes with salted caramel icing. 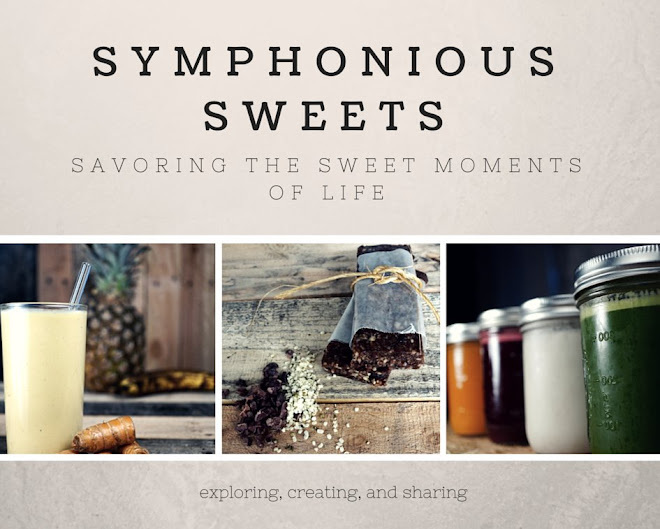 I want to thank Grace over at A Southern Grace for this awesome recipe. As I looked at her photos and read the description I thought GENIUS! it's like a caramel apple! but in the much preferred cake form! I had some apples laying around and no intention to actually eat them in their natural good for you state, so I got busy with the apple dapple recipe. It is a really easy, quick to put together recipe. The results are Phe-NOMenal! I added some sea salt to the tops to get that salty/sweet thang I've been wanting to try and man oh man is this one sassy cupcake! 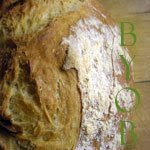 In a large bowl, combine the flour, sugar, cinnamon, baking soda, and salt. Make a well in the center and set aside. I made cupcakes and mini bundt cakes so they took about 15 to 20 minutes. you're darn tootin'--this is a terrific cake. 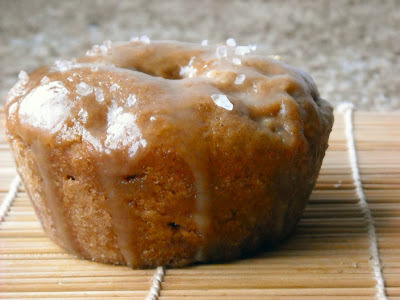 it's moist, spicy, sweet, and simply luscious, and i love that you made cupcakes and incorporated salt--brilliant! LOL, sounds like an excellent way to eat apples!